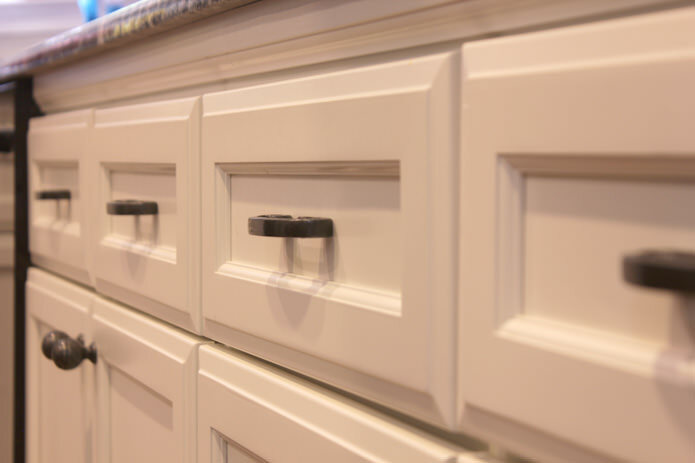 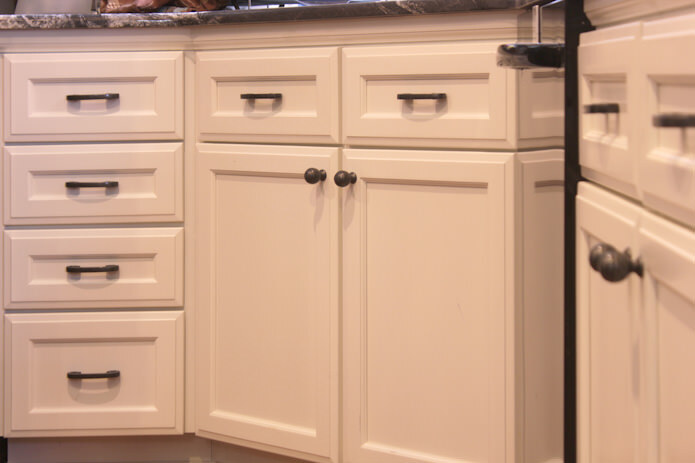 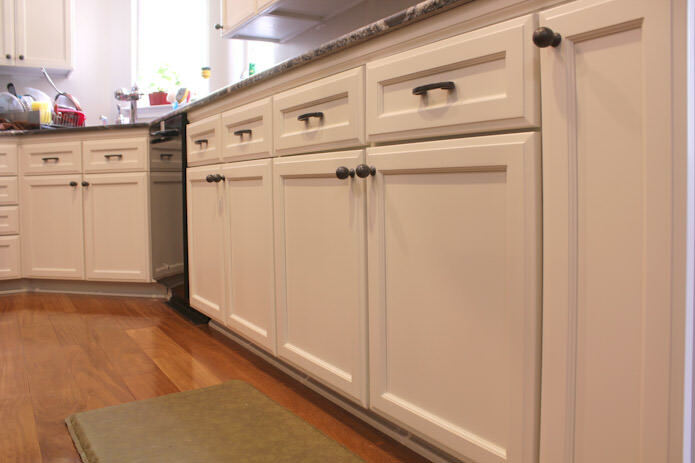 Light stained, maple cabinets refaced with solid wood, full overlay, recessed panel doors and drawer fronts and finished in an off white color paint. 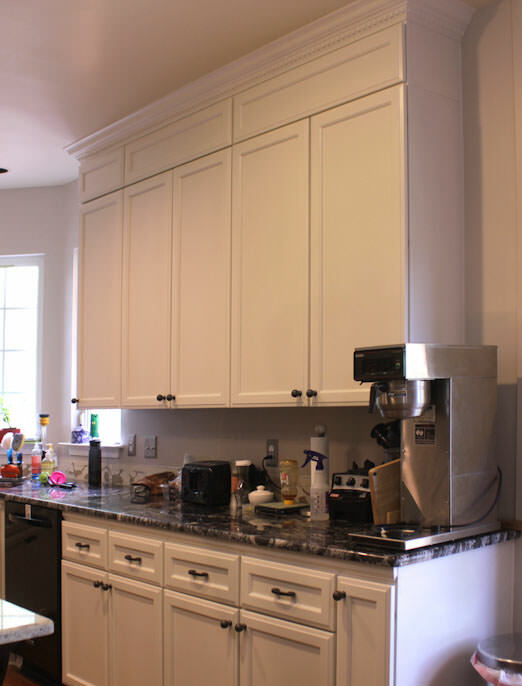 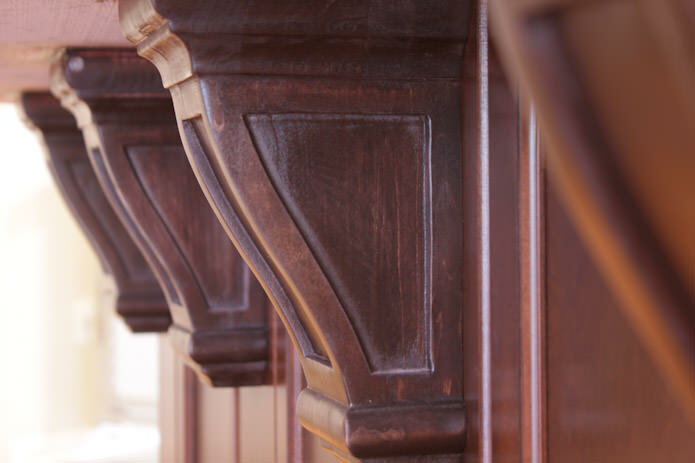 A row of new, wall cabinets were built and installed above the existing wall cabinets taking all the space up to the ceiling. 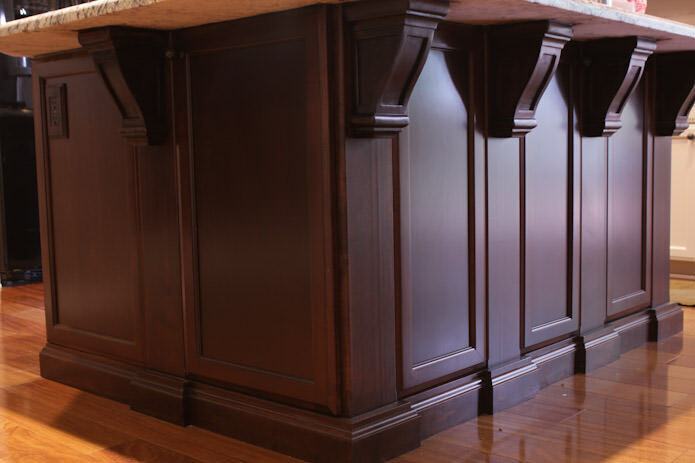 New crown molding added. 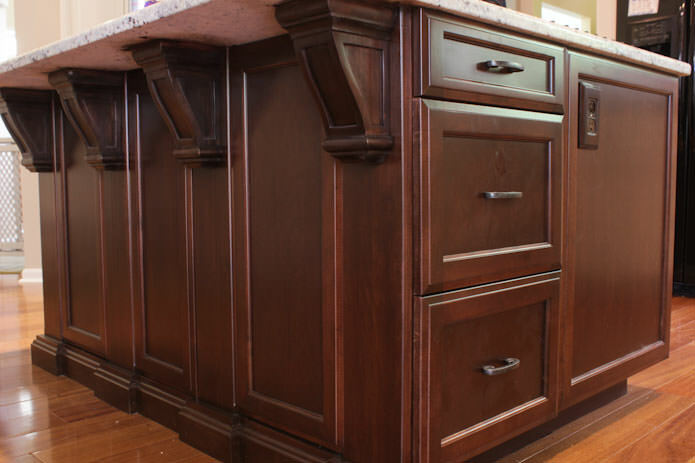 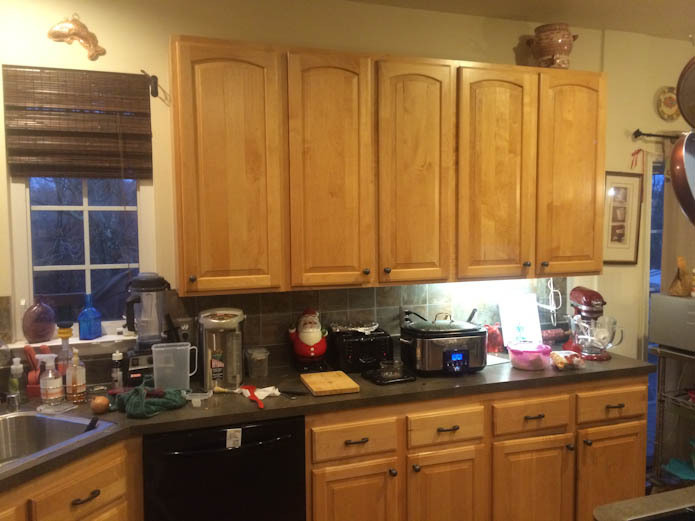 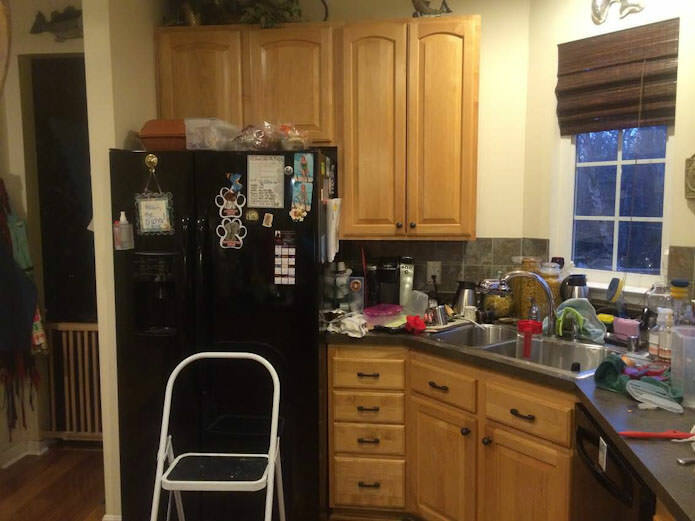 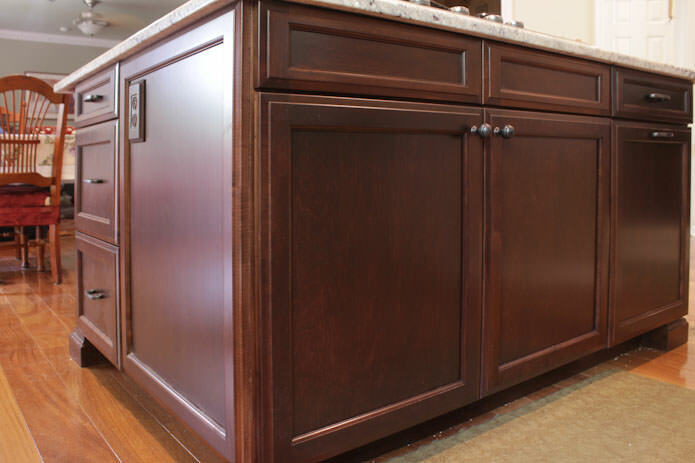 A new, custom built island was built of maple to accommodate a new, large cook top and was stained dark brown.